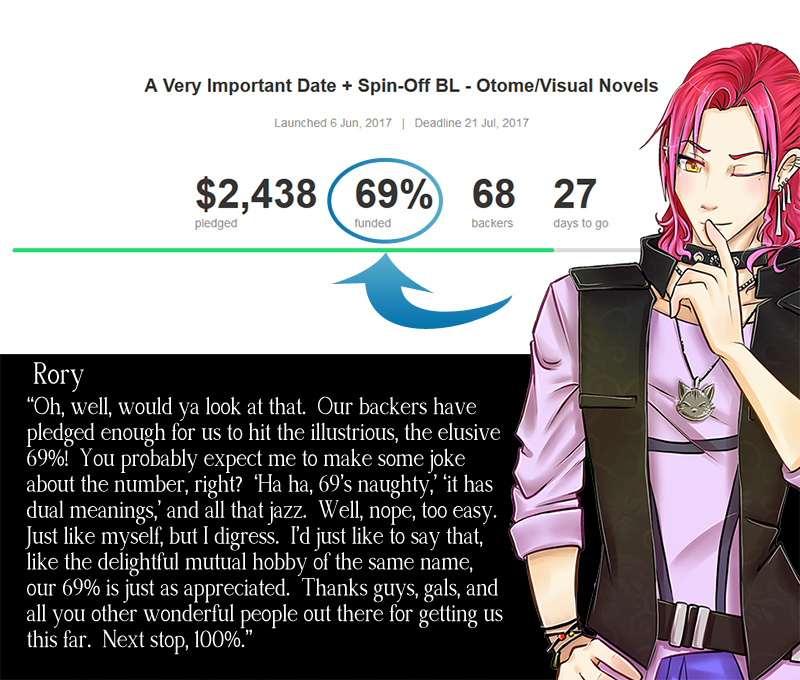 My otome/visual novel team is doing a Kickstarter Live on tomorrow at 8PM EDT. We'll be answering questions and showing off some of the physical add-on rewards. Noelle and Justin will be answering questions. We plan to have some of our team members on-call to help answer questions. With 25 days to go, I'm so happy! EDITED: I just checked out Kickstarter... and we're at 73% now O_O! Thank you ^_^! We're going to keep working on this no matter what, lol. We've been working on it for a long time now, so I'm not gonna just throw it out. We're working on adding Rory's first three chapters into the next demo update. We're currently at 44% of our goal of our Kickstarter campaign!